Detailed stitching with back flap pockets. 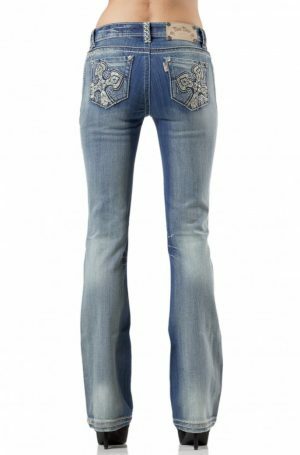 Signature Rose Royce embellished crystal hem and rose buttons on front and back pockets. Stunning colour and flattering fit. Lightweight, stretch material.